Question of the Week: Air Shows Without Jet Teams? from AVwebFlash Current Issue | One of the impacts of sequestration will be an end to military flight displays. 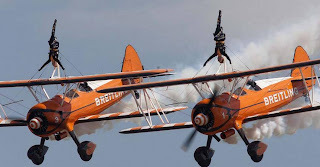 Will you still go to your local air show if there are no jets?Plus: Last week, we asked AVweb readers if they'd ever flown with an unruly passenger; click through to see the breakdown of responses. Through the Sequestration Gate: Now What? from EAA - The Experimental Aircraft Association | Barring a sudden display of bipartisanship in Washington, it is becoming apparent that implications of the federal budget sequestration will begin to occur on Friday. 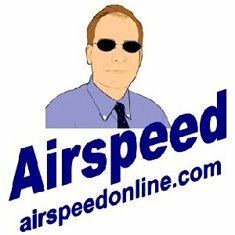 The aviation community, particularly those of us in general aviation, are bracing for whatever happens afterward. The Royal International Air Tattoo | We are pleased to confirm the attendance of the Frecce Tricolori and a Finnish C-295M at the 2013 Air Tattoo. Podcast: Around the World in a Hawker Jet, for Education from AVWeb Podcast - Podcast | Barrington Irving, whose Experience Aviation nonprofit helps to inspire kids in Miami to pursue science and engineering careers, aims to reach millions of kids with his next project -- a six-month flight around the world, via all seven continents, communicating with kids via satellite along the way. AVweb's Mary Grady spoke with Irving about his plans and his recent designation as an Emerging Explorer by the National Geographic Society.This podcast is brought to you by Bose Corporation. Fuller To Step Down At AOPA from AVwebFlash Current Issue | AOPA announced today that President and CEO Craig Fuller is stepping down and the search is now on for his replacement. Fuller became president in 2009, taking over from Phil Boyer. Fuller is just the fourth president of the organization in its 75-year history. He will stay on until a replacement is found. An AOPA news release says Fuller committed to five years in the job and with the end point approaching it's time for the search for another leader to begin. "The process of finding a new leader can now go forward as all of us at AOPA roll up our sleeves to fight the day to day battles that seem to keep coming our way," said Fuller. "The team will not miss a beat this year as we lay the groundwork for the future." Board Chairman William Trimble III thanked Fuller for his service, saying he "served nobly and professionally." Original part from B-17F Memphis Belle® returns home from National Museum of the USAF Top Stories | Young Airman Ralph Barrett had no idea what that strange looking part he had found in Memphis was, but it looked interesting so he picked it up and decided to hang onto it. The part eventually made it to his tool box at home and remained there unseen for more than 40 years. Dennis Tito Envisions Journey to Mars in 2018 from EAA - The Experimental Aircraft Association | A group founded by private space traveler Dennis Tito announced plans Wednesday to pursue a manned mission to Mars in January 2018. BTTC Wins A Telly Award! Breaking Through The Clouds: The First Women's National Air Derby (BTTC). As those of you who regularly read my newsletters know, I try to always include highlights of the women in the derby, details on processes involved in making the film and other tidbits. I also try to space out the frequency of the newsletters so no one is inundated. However, I am breaking my rhythm today to share the news that BTTC just won the first of two Telly Awards. Read below for details and learn how you can help make this award a double hitter! Also below are some upcoming dates for screenings and appearances, including dates in March, which is women's history month. Producer of the Award-Winning documentary Breaking Through the Clouds: The First Women's National Air Derby. An Archetypal Images Production. I just received news this morning that BTTC has won a Silver Telly Award. As many of you know, I entered BTTC into two categories in the Telly Awards. The Silver Telly Award announced today was for an award decided on by a panel of judges. The judges rate the film based on the standard of excellence. The "Silver Telly" is their highest honor. Telly states that only 7-10% of over 12,000 entrants receive this award. The category BTTC won is non-broadcast productions in history/biography. The other award, which has not been announced yet, is for the People's Choice Award. The voting for this is still actually still open. There are two days - today and tomorrow - to cast your vote for this award! Evidently you can vote as often as you like - UNLESS you are using an iphone, ipad or internet explorer 9 which Telly informed me is incompatible with the voting system. For those who can vote, just follow the link here and click the thumbs up underneath the trailer. That's all there is to it. This link is active through tomorrow, March 1, 2013. Maybe we can make the Telly Awards a double hitter! Since my last newsletter in which I requested people to vote for this award, I have received some of the neatest comments and amazing response. People all over the US, Germany, Australia, Holland, France and Thailand have told me they voted! I am truly thrilled by the amazing response from this voting process. Thanks to you all for your continued support. Below is the latest schedule for screenings and appearances. For those of you on Facebook and Twitter, I post updates frequently. I also try to update my website as soon as new information is announced. Heather will be on a panel at the Annapolis Film Festival. I am told there are going to be some incredible celebrities on this panel discussing women in the film industry. They asked me to be on the panel to discuss the process as a first time filmmaker. Heather will be at Hood College in Frederick, MD at part of Hood's Literary Event. Heather will be at Simmons College in Boston, MA showing the film and answering questions afterwards. Details to come on exact theater location and time. BTTC will also be in Wichita, Kansas on April 28th as part of the Women in Aviation Air Capital City event to raise money for low income girls to attend space camp. Heather also has plans to give presentations in June at both the American Society of Aviation Artists at BWI and COPA in Alabama. More details on those and other events as the dates draw near. BTTC has only been able to succeed because of individual support! It is very much a grassroots effort so I appreciate every single comment, thumbs up, mention and email I receive. It truly keeps me going to know the film touches lives in some positive way. All links for the social media are below. You can also mention BTTC in your own blog, article, podcast or to friends and colleagues. Of course there are a myriad of other ways to help as well. The sky's the limit! If the film has touched you in some way, please feel free to email and let me know. As always, thank you! Please click "like" and/or make comments. http://www.youtube.com/watch?feature=player_embedded&v=m4pSdKbApAs. The inspiring true story of 20 women who raced across America in 1929. Follow along as headline aviatrixes Amelia Earhart, Pancho Barnes, Phoebe Omlie, Bobbi Trout, Louise Thaden and other well known women pilots of the era race across the country in the summer of 1929. Breaking Through The Clouds: The First Women's National Air Derby provides over two hours of captivating viewing. The women's personalities shine through with original footage from the derby, much of which has not been seen in over eighty years. Beautiful and colorful aerial recreations place the viewer in the pilot's seat. help bring the story alive. material discussing the challenges the women faced during the race, what the women wore and more information about the planes & navigation in 1929. What is Breaking Through The Clouds: The First Women's National Air Derby? an award-winning documentary about Amelia Earhart and 19 other brave pilots who defied convention by taking to the skies and racing across the country for the first Women's National Air Derby. With just a compass and a road map to guide them, they faced cultural stereotypes, mechanical failures, threats of sabotage, navigational challenges and endless chicken dinners. The women persevered and became pioneering legends in aviation. Their story is inspiring to anyone who has the courage to follow their own dreams. Producer Heather Taylor had a calling to tell this inspiring story in the hopes of helping others to find the courage to search for their own path. While Heather hasn't had to deal with the endless chicken dinners like the women in the derby did, she does face the challenges of an an independent artist. By spreading the word and supporting the film, you are helping Heather and other struggling artists reach for the sky in their own way and work towards breaking through the clouds. Thank you. We are all faced with a series of great opportunities brilliantly disguised as impossible situations." Did you know the logo on the t shirts is based on one of the trophies won in the 1929 Derby? You can briefly make out the trophy in the footage on race day in BTTC. are available for purchase. Below is what the front of a black t-shirt looks like. The back has breakingthroughtheclouds.com written in the top middle part. BTTC T-shirt (black). White T-shirts with a black Logo are also available. I did not receive the email. 865-242-7551 to follow up, though my preference is email first so I can keep track of the order. Thank you. If you know someone who would like to receive these newsletter,s please feel free to forward to them and have them join the mailing list. 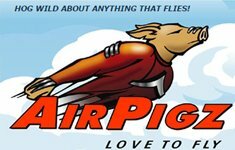 Human-Powered Aircraft Competition Set For July from AVwebFlash Current Issue | The second annual Icarus Cup will be held in Northampton, Great Britain, July 19-28, and for the first time, the competition will be officially sanctioned by the Federation Aeronautique International. Teams will compete in a variety of trials, including a 200-meter sprint, a slalom course, landing accuracy, duration of flight, and take-off performance. Organizers hope the competition will help to promote and develop the sport of human-powered flight, with the goal to one day see competitors in the Olympic Games. The event is organized by the Royal Aeronautical Society. Registration is open to all. 'Planes' Trailer: Disney's 'Cars' Spin-Off Lands Online - ScreenCrush | From high above the world of “Cars,” flies “Planes,” Disney's upcoming animated action-packed comedic adventure starring Dusty, a big-hearted, fast-flying crop duster who dreams of competing in the most exhilarating around-the-world air race in history. AIRSHOW NEWS: Cosford Club snaps up major photographic sponsor from Flightline UK - UK Airshow News | Following on from the exciting announcement of the brand new hospitality and enthusiast enclosures at the 2013 RAF Cosford 75th Anniversary Air Show, organisers have unveiled that Nikon will officially sponsor the exclusive “The Cosford Club”. Classic Aero-TV: A Sea Of Yellow -- 75 Years of Piper Cubs from Aero-News Network | America's Iconic GA Airplane Celebrates Its Heritage Whether you fly ultralight, LSA, certified airplane, military jets, or wide-bodied airliners, there is one aircraft type that practically personifies aviation. That airplane is the Piper J-3 Cub. The 75-year-old design is perhaps the most recognizable, and most copied, airplane that has ever graced the skies. In celebration of the 75th anniversary of the airplane, more than 125 Cubs have landed on the grounds of Wittman Regional Airport for AirVenture, 2012. And 75 of those airplanes flew in in a "mass arrival" early in the week, filling the south parking area along runway 18-36 with a virtual sea of yellow ... with the occasional glimpse of white or red. It was literally Cubs as far as the eye can see. Timeless Voices - Charles Gallagher from eaavideo.org | Charle Gallagher served as a B-17 flight engineer and top turret gunner with the 336th Bomb Squadron of the 95th Bomb Group, 8th Air Force during World War Two. He flew 35 combat missions during the war. USAF Retires First Operational KC-135R Stratotanker from Aero-News Network | Airplane Headed To The 'Boneyard' After 50 Years Of Service After more than 50 years of service and 22,500 flying hours, the first operational KC-135R Stratotanker retired from service, Feb. 21, 2013. 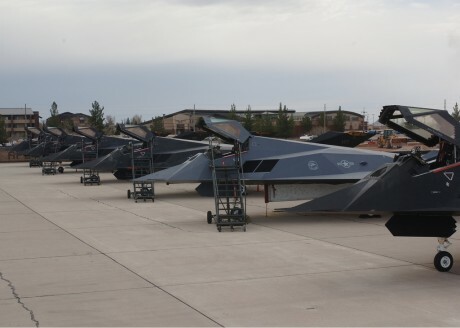 The aircraft made one last high-speed pass on the runway before heading to the 309th Aerospace Maintenance and Regeneration Group, Davis-Monthan AFB, AZ, better known as the "Boneyard," where Air Force aircraft go to provide parts to satisfy critical supply needs without any major holds. Squadron’s free RISE ABOVE Traveling Exhibit will be at the 1940 Air Terminal Museum located at the William P. Hobby Airport in Houston, Texas, March 12-16, 2013, from 9:00 a.m. to 5:00 p.m. Tuesday – Saturday. The RISE ABOVE Traveling Exhibit is a truly unique opportunity for the young and the young-at-heart to not only learn, but experience the inspiring story of the Tuskegee Airmen while being immersed in a theatrical experience. Standard museum admission will be free while the RISE ABOVE Traveling Exhibit is showcased at the Museum; however, donations are highly encouraged as the non-profit Museum functions almost completely on the generosity of sponsors and public donations. During the original movie aptly named, "RISE ABOVE," audience members will be transported into what it was like to be a black airman during WWII and the obstacles faced by America’s first black military pilots and their support personnel, known today as the Tuskegee Airmen, as they worked toward their goal of becoming U.S. Army Air Corps pilots in the early 1940s. At the conclusion of the film, audiences experience the excitement and thrill of flying the world’s greatest fighter aircraft, the P-51 Mustang, in formation, aerobatics, a break and a few low passes. Filmed with a 180-degree lens along with the state-of-the-art theater design, the movie experience gives attendees the feeling that you are actually flying in the airplane. The free CAF Red Tail Squadron RISE ABOVE Traveling Exhibit will be welcoming visitors March 12-16 at the 1940 Air Terminal Museum, 8325 Travelair Street, Houston, Texas 77061. Sponsors of the RISE ABOVE Traveling Exhibit at this time include The Texas Flying Legends Museum, Universal Weather and Aviation, Inc., and Gulf Coast Aviation. In 1957, a small group of ex-service pilots pooled their money to purchase a P-51 Mustang, beginning what is now called the Commemorative Air Force (CAF). With the addition of a pair of F8F Bearcats, the CAF became the founders of the Warbird Movement, an effort to preserve and honor our military history with the rallying cry to “Keep ‘Em Flying!” Now, 55 years later, the CAF is the premier Warbird organization, operating 156 vintage aircraft in Honor of American Military Aviation. A non-profit educational association, the CAF has more than 10,000 members and its fleet of historic aircraft is distributed to 80 units located in 24 states for care and operation. For more information, visit www.commemorativeairforce.org or call (432) 563-1000. For more information about the CAF Red Tail Squadron, visit www.redtail.org or follow us on Twitter, Facebook, and Instagram (#CAF Red Tail Squadron). Columbus, Georgia – Disabled American Veterans (DAV) will reach out to veterans and their families sharing its message of service and volunteerism in support of our nation’s combat-wounded men and women at the Thunder in the Valley Air Show on March 16-17, 2013. In the company of the iconic World War II era B-25 Mitchell Bomber, the DAV Flight Team will appear at the Thunder in the Valley Air Show. The air show is one stop on a nationwide tour that aims to increase public awareness of disabled veterans and provide information about DAV programs and benefits. The B-25, which gained notoriety in the famed Doolittle Raid over Tokyo, Japan 71 years ago, shares a modern-day mission with DAV -- reminding people of the sacrifices veterans make for freedom. As brave men and women return from the battlefields of Iraq and Afghanistan, the DAV’s services and advocacy are as relevant today as at any time in the nation’s history. Disabled American Veterans, representing more than 1.2 million disabled veterans, is a non-profit organization founded in 1920 and chartered by the U.S. Congress in 1932. It is dedicated to one, single purpose: building better lives for our nation’s disabled veterans and their families. For more information about Disabled American Veterans go to www.dav.org or follow the DAV Flight Team at www.facebook.com/davflightteam. Yuma military air show not affected by sequestration - KSWT-TV | YUMA, AZ - The looming sequestration deadline could also bring nearly $50 billion in military budget cuts. 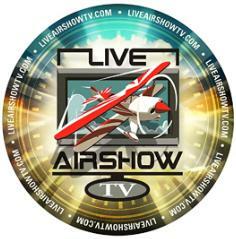 Some viewers wanted to know if the upcoming military air show would be affected. Captain Staci Reidinger with Marine Corp Air Station Yuma says no. Women Fly! March 5-10 from Flight To Success by Karlene Petitt | Women of Aviation Week March 4-10, is one week away! The Museum of Flight is celebrating from the 5-10th. Fly it Forward Opens to ALL Ladies on March 9th!!! from Toriaflies | The 2013 Frederick Women Fly It Forward Committee is happy to announce that flights are now available for all women on Saturday, March 9th at our PINK – Women Fly It Forward event. As our week-long Women Fly It Forward event draws near, we have seen a steady increase in interest for our Saturday flights from women and girls of all ages. Balloon Crash Kills 19 In Egypt from AVwebFlash Current Issue | Nineteen tourists flying above the temples and tombs near Egypt's Nile River in a hot-air balloon were killed on Tuesday when the aircraft caught fire, according to the Associated Press. The passengers were from Europe, Hong Kong, and Japan. The pilot and several others survived and are being treated for burns. Tourist flights are popular in the Luxor region, where they are a mainstay in the local economy, and several other balloons were flying at the time of the accident. Local officials have grounded all flights. Wodicka tells harrowing tale of B-17 crash - Estherville Daily News | Editors note: The following narrative is from a telephone interview that Jerry Penry had with Edward S. Wodicka, navigator and survivor of the B-17 Flying Fortress 1st Lt. Charles Young was flying. The aircraft was shot down over Rodenbeck, Germany. Quicksilver Pilot George Karamitis a Wright Master Pilot from EAA - The Experimental Aircraft Association | The FAA's prestigious Wright Brothers Master Pilot Award was presented to George Karamitis, EAA 144192, of Avon Park, Florida, at the 2013 U.S. Sport Aviation Expo in Sebring, Florida. Wright Masters are honored for 50 years of flight free of accidents, incidents, or citations. Planes, Trains & Automobiles In Plant City from Aero-News Network | Community Event Features A Variety Of Aircraft For Public Viewing Plant City Airport is hosting its third annual "Planes, Trains & Automobiles" event Saturday, March 23, 2013, from 10 a.m. to 3 p.m. The event's organizers say it's a chance to see real airplanes, remote control planes, helicopters, model trains in operation and on exhibit, and classic and exotic car displays. Antique railroad maintenance equipment, train artifacts and memorabilia will be on site for guests to explore. Podcast: Anchorage Museum Celebrates Alaskan Flight Centennial from AVWeb Podcast - Podcast | It was 10 years after the Wright brothers' first flight before the first airplane arrived in Alaska, but aviation soon transformed the way of life in the state and today remains essential to the economy. A new exhibit at the Anchorage Museum explores the those 100 years of history. AVweb's Mary Grady talked with Julie Decker, chief curator of the museum, for more details.This podcast is brought to you by Bose Corporation. Who Knew? The Pope Has A Pilot's License from Aero-News Network | But The Holy See Never Learned To Drive A Car The retirement of Pope Benedict XVI came as a surprise to Catholics around the world, and his retirement ceremony will likely be full of pomp and circumstance, broadcast live around the world. But it's less well known that when the Pope flies off into retirement aboard the papal helicopter ... he wouldn't necessarily have to be sitting in the back waving. He could be up front in the cockpit flying the aircraft himself. A Film's "New Look" for a New Year! !